Flick through any magazine, walk past a billboard or channel-hop your television and you will see companies trying to sell happiness. If only you were to buy their car, their shoes, or their insurance policy, you would achieve true contentment! True happiness is not about wealth and possessions, (although they can certainly make life easier) but is about feeling good. Obviously, there will always be stresses and worries in everyday life that cannot be avoided, but making happiness a natural part of you means that you will be better able to cope with difficult times. When you experience true happiness, you enjoy life as it is, in that moment. You enjoy the sense of being alive. You feel this happiness in your heart, and are truly satisfied with who you are and where you are in life. Happiness can come from achievement. Writing a list of things to do, and crossing them off can provide a simple way to draw your own attention to the things that you accomplish each day. Once you have started to take notice of your own achievements, you may like to add longer term goals to the list, such as learning a new skill or working towards a fitness target. Work can be very fulfilling; particularly if you are lucky enough to be paid to do something that you love, as I am. Having time to socialise, exercise and do the things you enjoy is of vital importance, however. A perfect balance for each day would consist of eight hours work, eight hours relaxation and eight hours sleep. The purest form of happiness comes from doing something for someone else. There really is no substitute for this feeling. Again, this does not have to be about money, or ‘stuff’, but simple acts of kindness. Loan an umbrella, offer a friend a lift, or give someone flowers from the garden. There is a Random Acts of Kindness week each year, and some of the stories of happiness-sharing really are quite heartwarming. Even the gentlest exercise releases endorphins, leaving you feeling fantastic, and virtuous too! 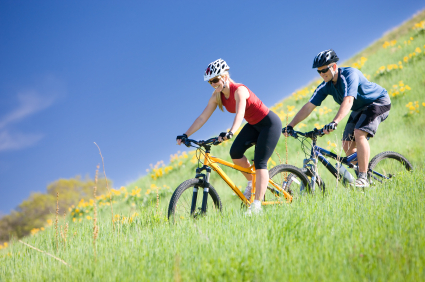 Pick a form of exercise that you love and you’ll never seek excuses to avoid it. The best exercise to improve your state of mind allows you to be totally distracted from everyday life, so competitive sports, meditative activities and anything that you need to concentrate on and learn are perfect. Take time to think about those less fortunate, and if possible, do what you can to help. Charities need volunteers’ time as much as they need money. Try to live in the moment, and notice the beautiful, funny and spectacular world around you. Take photographs to document the positive, or write lists of things that you are grateful for. Like anything, this gets easier with practice. Soon, you will notice that your positive thoughts and feelings flow naturally, and that you are more aware of the beauty in life than ever before. Focus on what would make you truly happy, and create goals and affirmations based around achieving happiness. Always use the present tense for your affirmations, to really programme your mind to believe them. This technique is part of the Law of Attraction, wherein you decide upon a goal, infuse it with positive feelings, imagine it as a reality and regularly project that goal out from within you. 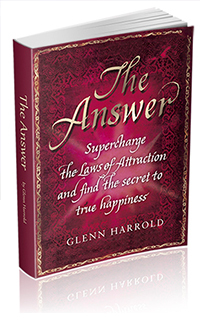 You may find it useful to take a look at my book, The Answer, to further continue on your journey. 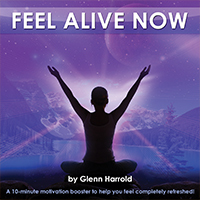 The book is filled with simple tips and techniques to achieve your goals, practice the Law of Attraction and find contentment. My Be Happy and Feel Alive Now! 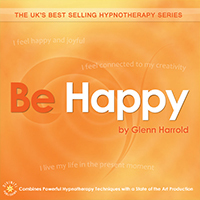 recordings are also a great way to focus your mind on accepting happiness into your life. The article is very positive. Good job! 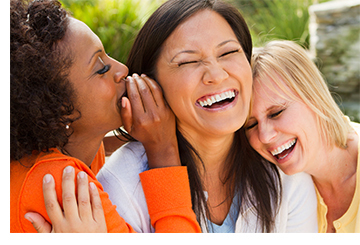 I think the only thing you missed is cultivating relationships with people you can love, respect and be uplifted by.